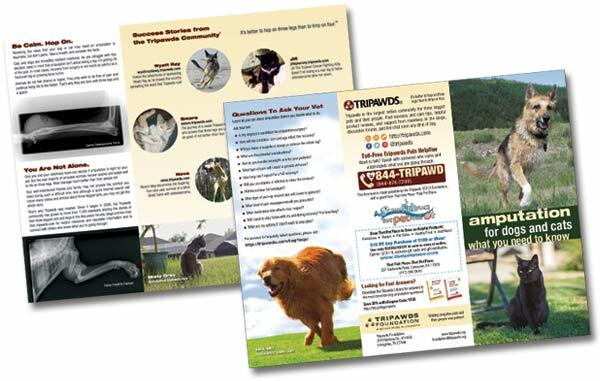 Tripawds pet amputation brochures personalized with your vet clinic info, or a tribute to your three legged heroes and angels. 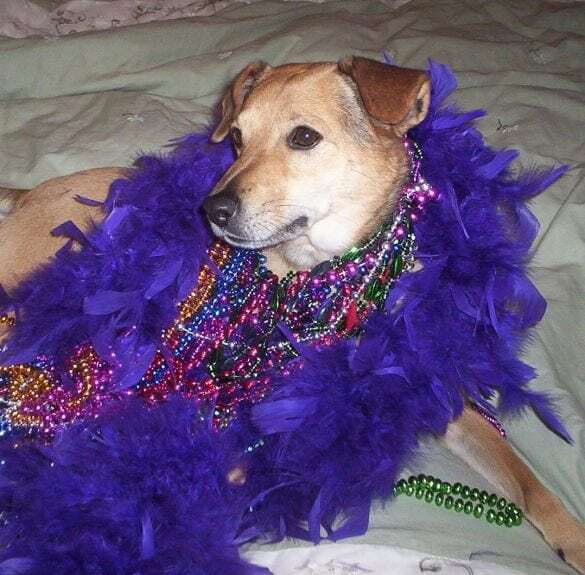 Purchase 100 to support Tripawds! 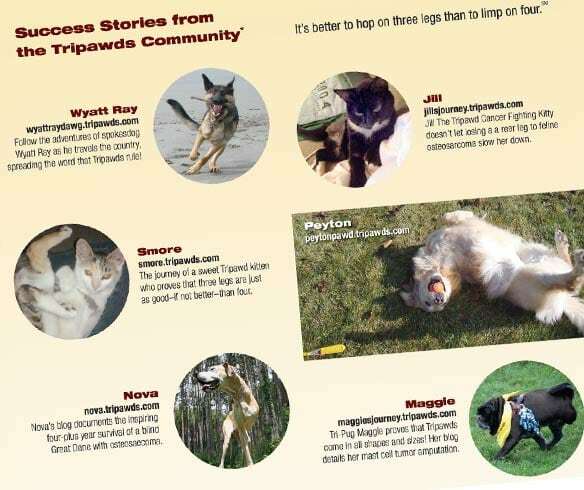 Support the Tripawds mission and help defray printing costs! 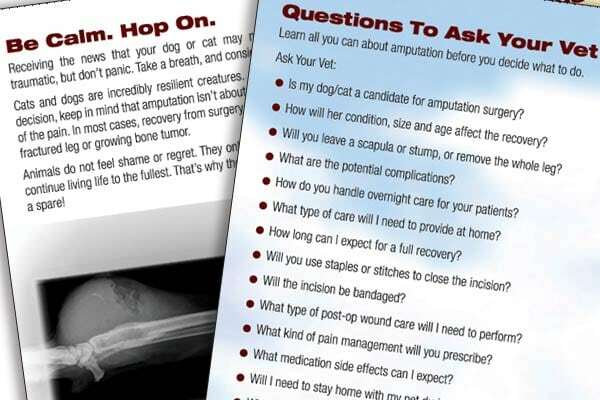 Please make a charitable contribution to receive custom pet amputation brochures with your message. We will contact you to verify delivery address and coordinate any applicable brochure personalization. 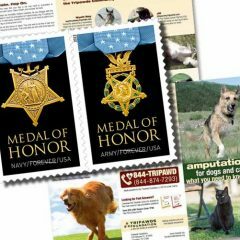 We’ll add your clinic information on the back panel, or pay tribute your three legged heroes and angels by honoring your furry friend with a sponsored print run. 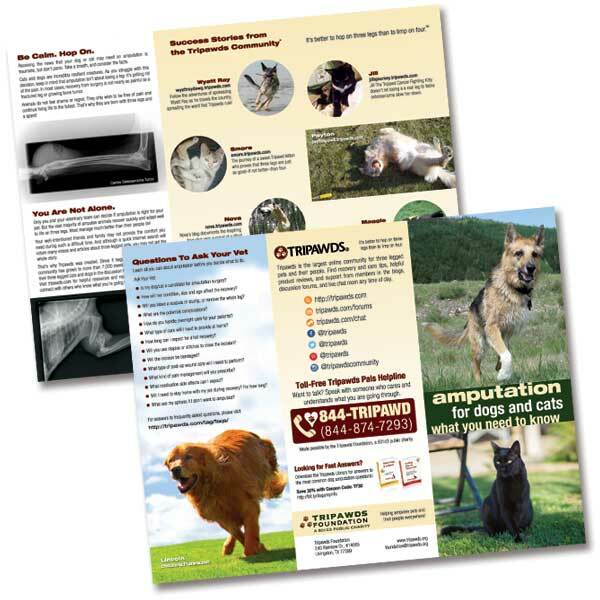 Tripawds brochures help concerned pet parents make more education decisions regarding amputation. They provide inspiration, links to free resources, and comfort via the toll-free Tripawds Helpline. Expect 10-15 days for production and delivery. Shipping included to U.S. (lower 48 states). 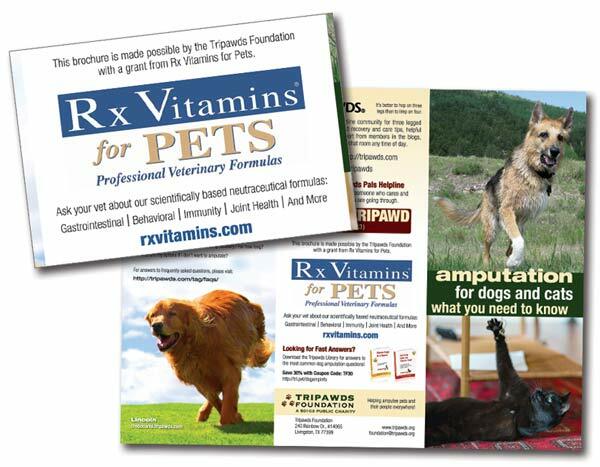 *This donation includes postage for sending brochures to ten vet clinics. Please advise if you would like to receive any of the brochures. We will gladly send them all, or reserve some for sending out upon request. NOTE: Contact us about other charitable giving partnership opportunities! 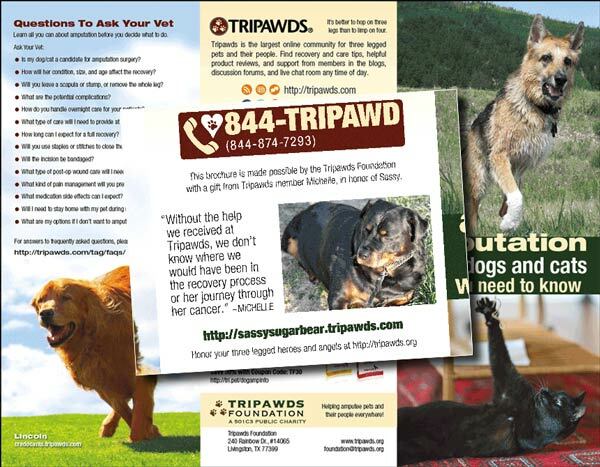 Be the first to review “100 Personalized Tripawds Brochures” Click here to cancel reply.